While in Indianapolis for a media visit, I took a little walk downtown after checking into the hotel and stumbled across this cute place called Rocket Fizz Soda Pop & Candy Shop. It's actually a franchise with several locations across the country that began in California. However, there are no Illinois locations yet. 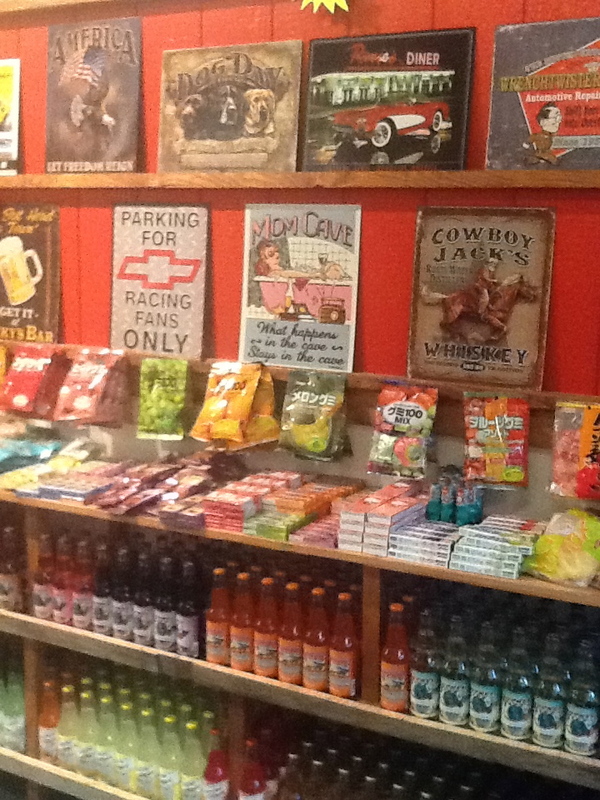 Anyway, it is a very cool place with a retro vibe. 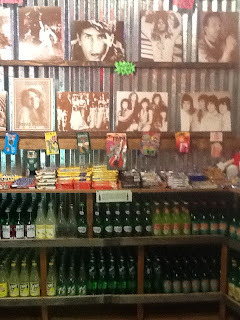 You'll find all the classic candies we bought as kids. Pop Rocks. Ice Cubes. And lots more. 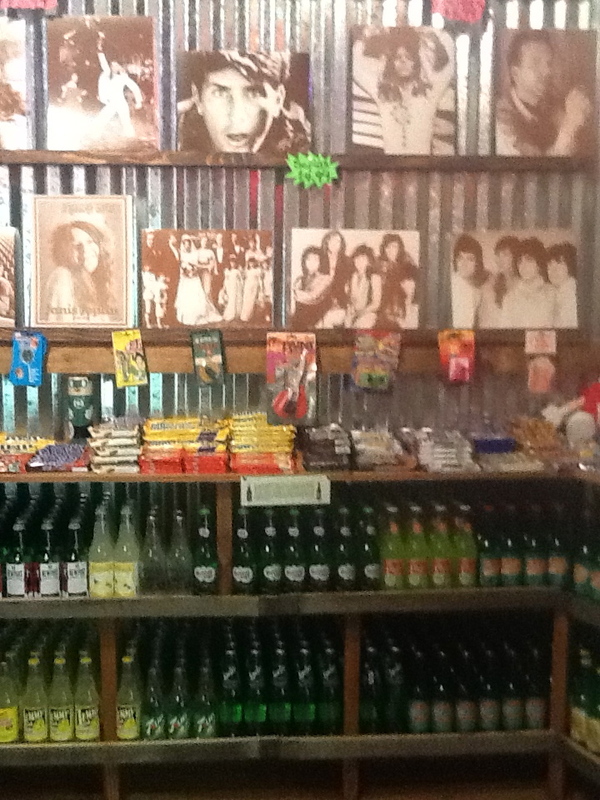 There are shelves loaded with sodas from around the world. And the walls are lined with cool concert photos. I was also happy to see imported goodies, like the Pocky Sticks I love from Japan that my sister's foreign exchange student introduced me to and the Crunchie candy bars from the UK. Hey Foodie Sisters. 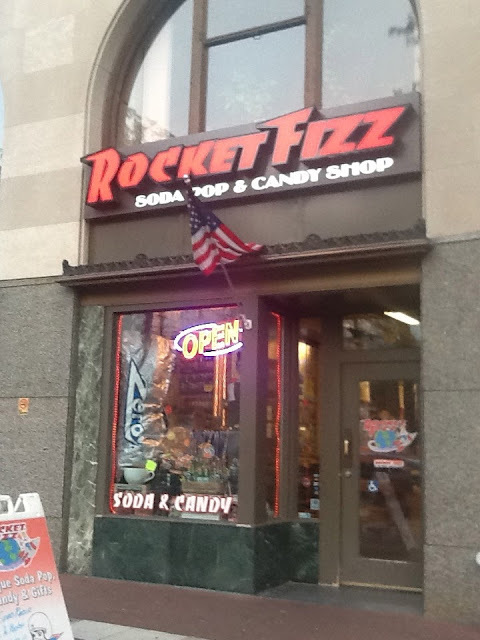 I just wanted to give you an update on your blog about Rocket Fizz, and give you an update about any Chicago area locations. Well, there is one coming as we speak. It will be at The Glen Town Center in Glenview. The plan is to be open by the end of July 2014. They just started a Facebook page also. 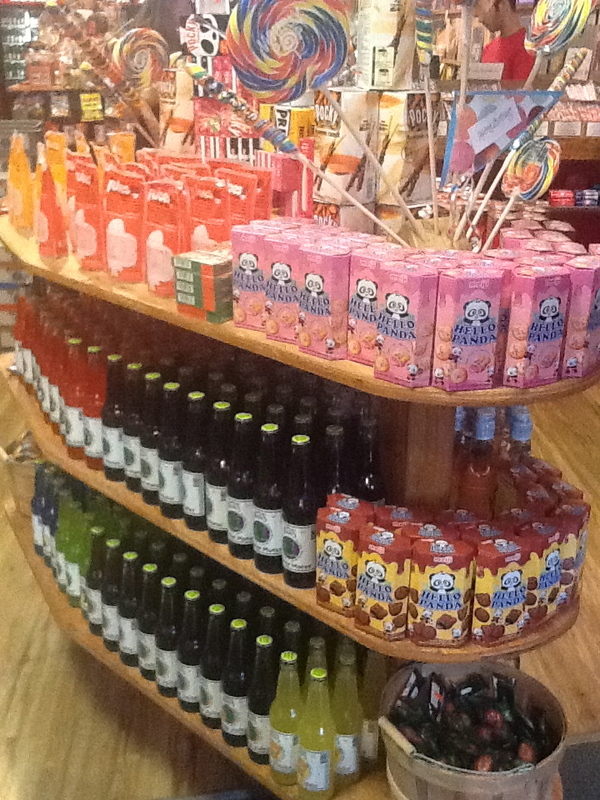 You can search for them under Rocket Fizz Glenview and keep up on their progress and get inside tips to the latest and greatest in the world of Candy and Soda Pop. 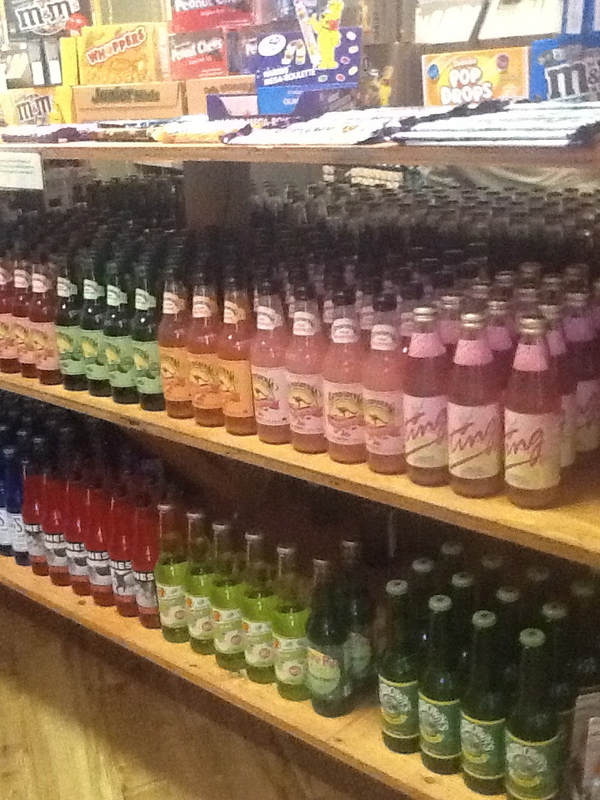 I know all of this cause, well, I'm the guy bringing Rocket Fizz to Chicago. And we hope to have multiple store opening in the very near future.